Rande’s Golden Gem is a truly unique variety with an artistic splash of red and yellow. 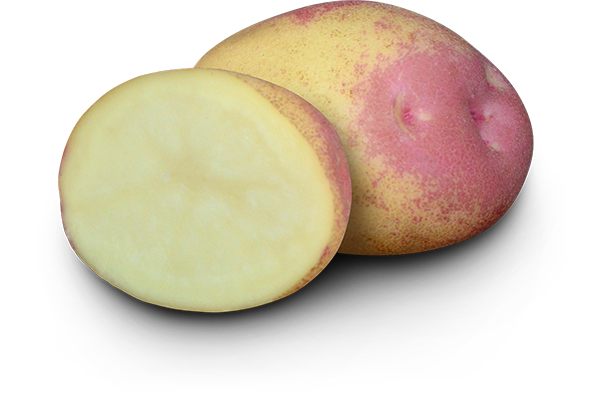 This smooth skin, high-set variety can be used for baby potatoes, or grown out to larger table potatoes. The taste, texture and amazing appearance of this variety is enough to please even the harshest critic in your family. EarthApples are sold in 1 kg boxes. Rande’s Golden Gem is a mid-season yellow fleshed variety. Plant mid-May for a mid-late August harvest. 90-105 days till maturity. 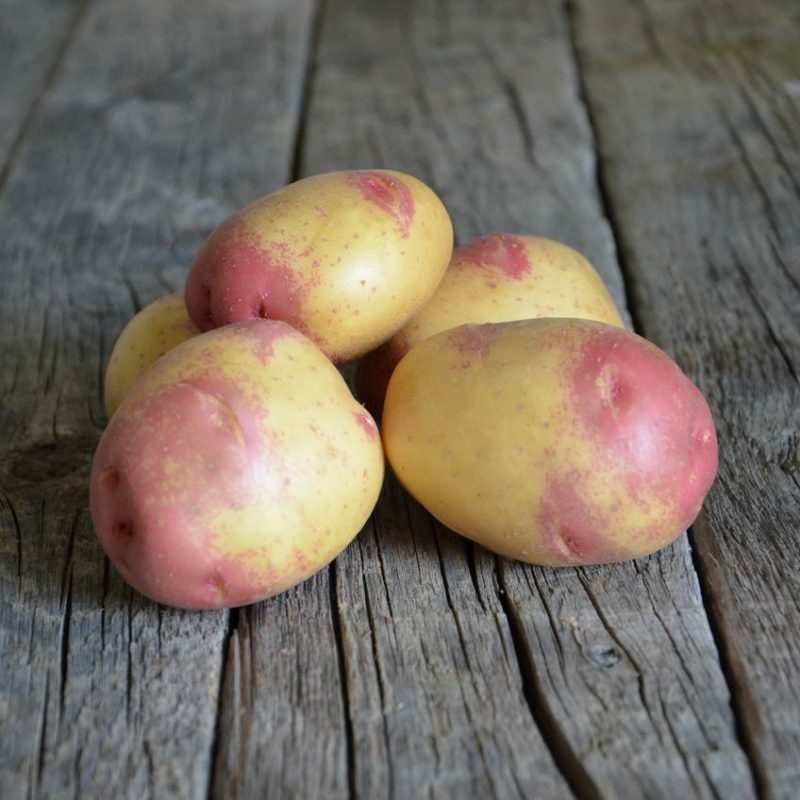 This variety is suitable for the production of baby potatoes but it can also be spaced wider and grown out longer to get larger potatoes. For smaller baby potatoes space about 25 cm (10″) apart. 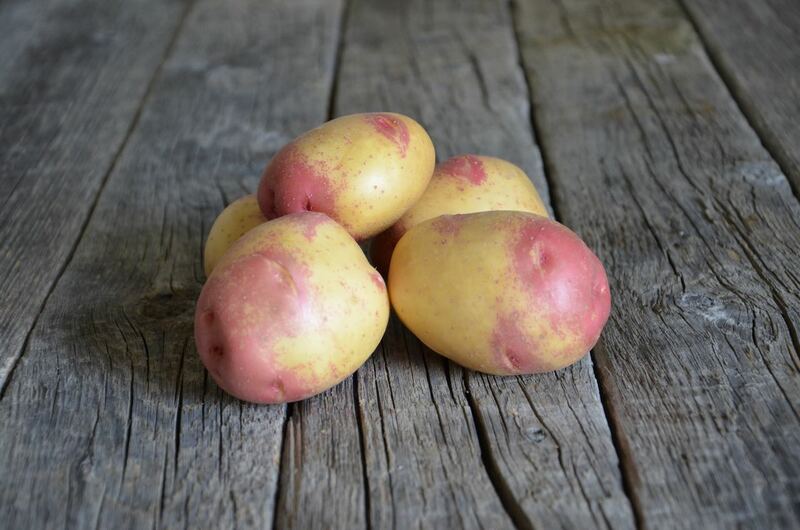 For larger potatoes space 30-36 cm (12″-14″) apart, and allow for a longer growing season. This variety is better suited for gardens and larger raised planting beds. Rande’s Golden Gem has a very attractive red and yellow skin. It has a slightly moist cooking texture with a very pleasant taste. This versatile potato is great for boiling & steaming and is highly recommended for soups and stews. It adds great visual presentation to any plate. Good storability. Approximately 5 months at 6 degrees Celsius.